I just came across these amazing images from National Geographic showing how they experimented with creating a floating house like the one in the movie Up. 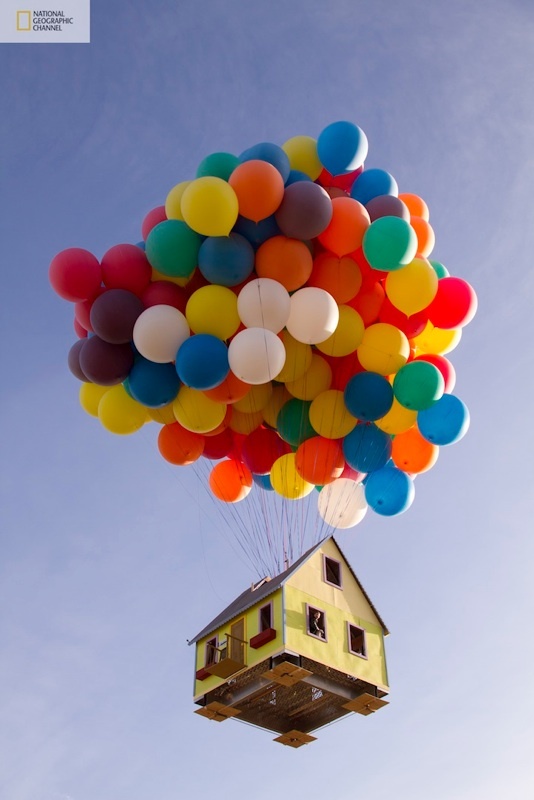 It will be on a new series “How Hard Can It Be?” They used over 300 colorful weather balloons to lift the house to an amazing height of 10,000 feet for over an hour! I find this so fun, amazing, and beautiful. I’ve included some additional photos on the full post to check out, they are breathtaking.